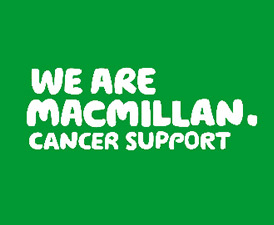 The Staffordshire Cancer Advocacy and Support project is a partnership between the Beth Johnson Foundation and Macmillan Cancer Support. We are here for anyone who is aged 50 or over who has been affected by cancer, either as a patient or a family member, friend or carer. We can provide support with resolving or speaking out about a wide variety of issues or problems, allowing you to focus on your health and well-being, particularly if you are feeling unwell and undergoing or recovering from cancer treatment. The project has supported many people with a wide range of issues or problems - including access to support services, accompanying people to appointments with consultants and GP’s, referrals for benefits advice, and also provising a much needed listening ear. Our aim is to help improve your quality of life by enabling you to resolve any difficulties you may be facing, whether cancer related or not. No matter what the issue is, we will support you in finding a solution. We can provide support around a wide variety of issues including treatment and care, employment issues, social and financial difficulties, and can provide a listening ear. The Staffordshire Project is led by highly experienced health and social care professionals and supported by a team of trained volunteers, and our service is free, confidential and independent. Area Co-ordinators engage and train peer volunteers to act as advocates for people diagnosed with cancer and their carers. For further information about our service please contact the Beth Johnson Foundation directly or visit our website. Our head office is based in Stoke on Trent, with Volunteer Co-ordinators based in their local areas. This service is available to people over 50 years of age. People can self-refer into our service by contacting our head office on 01782 844036. You can also ask a family member, friend or anyone invloved in your care to contact us on your behalf. We also accept referrals from Healthcare specialists and GP's.